Andrew S.C. Rice MD FRCP FRCA FFPMRCA FFPMCAI is Professor of Pain Research at Imperial College London, where he is active in both translational research and in clinical practice. He received his medical degree from St. Mary’s Hospital Medical School (University of London) in 1982 and his research doctorate from St. Thomas’ Hospital Medical School (UMDS, University of London) in 1991. He underwent his specialist clinical training mainly in Oxford and at St Thomas’ Hospital. He joined Imperial College in 1995. His research programme covers both laboratory and clinical research. The focus is on neuropathic pain in the context of infectious diseases, diabetic neuropathy and peripheral nerve trauma. The group is predominantly funded by grants from the Wellcome Trust, NC3Rs, European Commission and National Institute for Health Research. In the clinical research domain: Andrew leads a programme of deep profiling studies mainly in patients with HIV neuropathy, carpal tunnel syndrome, leprosy and diabetic neuropathy. He has for many years been active in clinical trial design, conduct and interpretation and also in synthesising clinical evidence by means of meta-analyses. A recent success was his key role in the successful pre-clinical and early clinical development of the Angiotensin II type 2 receptor antagonist EMA401 as a “first in class” analgesic for neuropathic pain. In collaboration with colleagues at the London School of Hygiene and Tropical Medicine and in India and Ethiopia, he is elucidating leprosy-associated neuropathic pain. Preclinically, Andrew has a longstanding interest in improving the internal and external validities of animal models. He has developed a number of clinically relevant models of neuropathic pain and pioneered the use of ethologically relevant outcome measures. He has championed approaches to reduce susceptibility to experimental bias in the design, conduct, analysis and reporting of pre-clinical pain research. With joint MRC/Wellcome Trust funding, in collaboration with colleagues at Manchester (National Centre for Text Mining) and Edinburgh Universities and UCL, he is exploring the utility of text mining/machine learning approaches to empower systematic review and meta-analysis of pre-clinical research. For many years Andrew’s laboratory played a key role in elucidating the basic science of cannabinoid analgesia, although he is cautious about the clinical exploration of cannabinoids as analgesics until the risk of mental adverse effects has been clarified. Andrew has an interest in medical history, particularly as related to 20th century conflicts and how this might inform modern day practice. Post amputation pain in First World War veterans and malnutrition related neuropathies in Far East Prisoners of War 1942-45 are current areas of interest. Andrew was a Principal Investigator of the Wellcome Trust Strategic award-funded London Pain Consortium (2002-15) of which he was Administrative Director 2008-12. He was the academic lead for the animal models work package on the Innovative Medicines Initiative grant “EUROPAIN” and the linkperson between EUROPAIN and the Food and Drugs Administration Critical Path Initiative: Analgesic Clinical Trial Translation, Innovations, Opportunities and Networks (ACTTION). In 2016 he was elected as a Councillor of the International Association for the Study of Pain (IASP) and acts as liaison to the SE Asian federation of IASP chapters. Since 2005 he has held a number of positions on the Executive Committee of the International Association for the Study of Pain (IASP) Special Interest Group on Neuropathic Pain and was Chair 2012-14. He served on the Scientific Program Committees for the 14th (2012) and 15th (2014) World Congresses on Pain and on the Pain Terminology Task Force since 2013. He played a leading role in delivering the 2014/5 Global Year Against Neuropathic Pain. He has served on the British Pain Society Council (2003-6; 2014-date), was a member of the Founding Board of the Faculty of Pain Medicine at the Royal College of Anaesthetists and was a Regional Advisor for the Faculty (2003-9). At Imperial College he led the MB BS/ PhD programme from its inception until 2012. Since January 2016 he has been Editor in Chief of the IASP publication Pain: Clinical Updates. He sits on the editorial boards of a number of journals including PAIN (2005-16), Public Library of Science (PLoS)–Medicine and Evidence Based Preclinical Medicine. He is an author of more than 160 scientific publications, many of which are in the major specialist journal in the field (PAIN). He has also published in other notable journals including: The Lancet, Brain, Lancet Neurology, J. Neuroscience, New England Journal of Medicine, Public Library of Science - Medicine, Nature Clinical Practice- Neurology and the British Medical Journal. His work has a citation (Hirsch) index of 41. He conceived and was lead editor of the four volume “Textbook of Clinical Pain Management”, now in its second edition. In 2017 Andrew was awarded the Rynd medal by the Faculty of Pain Medicine, College of Anaesthetists of Ireland. In 2015, he delivered the Patrick Wall Lectures at the British Pain Society and at the Faculty of Pain Medicine, Royal College of Anaesthetists. Also in 2015, he received the Imperial College Lifetime Achievement Award for Excellence in Animal Research. He was the Michael Cousins lecturer at the Australian and New Zealand College of Anaesthetists in 2009; Covino Lecturer at Harvard University in 2008; a plenary lecturer at the 10th World Congress of Pain in 2002. In 2010, the Neuropathy Trust recognised his contributions to patients by the award of the Dawn Ind Memorial Chalice. 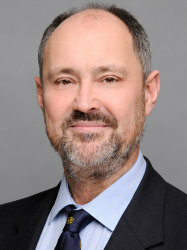 Andrew is also an Honorary Consultant in Pain Medicine at the Chelsea and Westminster Hospital, London. As a member of a comprehensive multi-disciplinary pain management team, he provides a service for patients with neuropathic pain; in particular peripheral nerve injury and infectious disease (mainly postherpetic neuralgia, leprosy and HIV). He also provides diagnostic services for painful peripheral neuropathies, including a Quantitative Sensory Testing lab certified to European Standards and assessment of intra-epidermal innervation in skin biopsies. With Palliative and Addiction Medicine colleagues he has established a review system for patients on inappropriately high doses of prescription opioids, and with military rehabilitation colleagues he is developing a diagnostic assessment pathway for patients with persistent pain following Non Freezing Cold Injury.